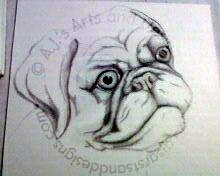 Work In Progress – Pug Drawing | Who Are You Calling Crafty? Just started a very light sketch. 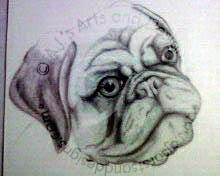 Starting to see the details of the wrinkles. Starting to come into focus. 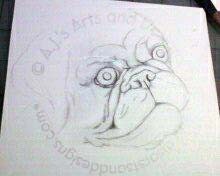 Realizing that pugs take a while to draw. 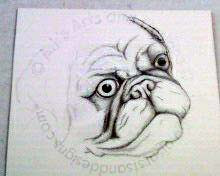 The picture is about 70% done but he is coming into focus. Don’t you just want to scratch those ears? « The Paint Box – with Special Guest Bubble Prints!